Among the more mainstream and popular anime/manga serializations, One Piece seems to get the bulk of the PVC love. It has always irked me that another rather similar looking and equally enjoyable (so similar that one cannot be faulted in thinking that both were drawn and written by the same person – they are not) title hasn’t received a major PVC release. But fret no more – Fairy Tail gets a figurine, and from Good Smile Company no less. Seems quite close to the source art. Nothing spectacular – plain and simple are the first things that come to mind here. I do like how closely she mirrors her 2D anime counterpart, and that can only be a good thing. Megahouse’s POP line for One Piece shares these same characteristics, and preorder allocations are often sold out within the day. Preorder her here, for 6580 yen, after discounts. One can only hope that Lucy will be as popular (and as commercially successful) as Nami & friends. PVC preorders sure seem like buses to me, I wait for ages for one and then they suddenly come in bunches! 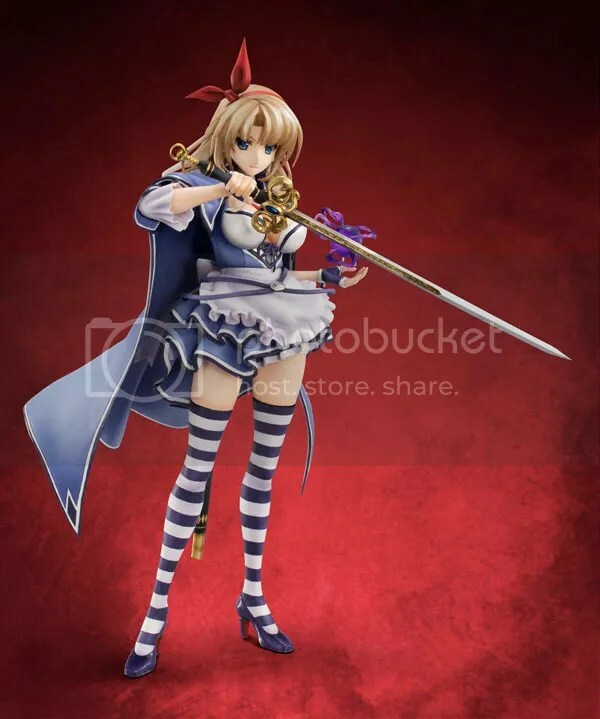 Megahouse has been concentrating on other lines for the last few quarters so it is a pleasant surprise to see them release an upcoming Queen’s Blade character. First off we have one of the three mains – Yagyu Jubei. 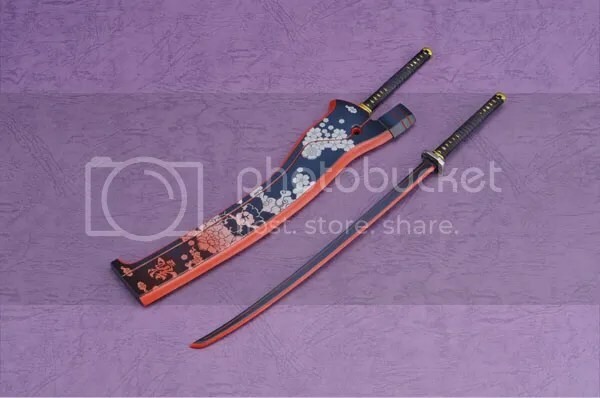 She maintains her ridiculously short pink outfit but her hair has turned silver and her longer katana has been replaced with a much larger and ornate cleaver? The PVC releases for Season 1 were very hit and miss for me (some awesome figures, one or two outright disappointing ones and poor scaling for a few) so will things be better the second time round? Remember the Xbox360 and PS3 game Bayonetta? The one that featured the ultra long legged, anatomically incorrect yet strangely alluring witch? 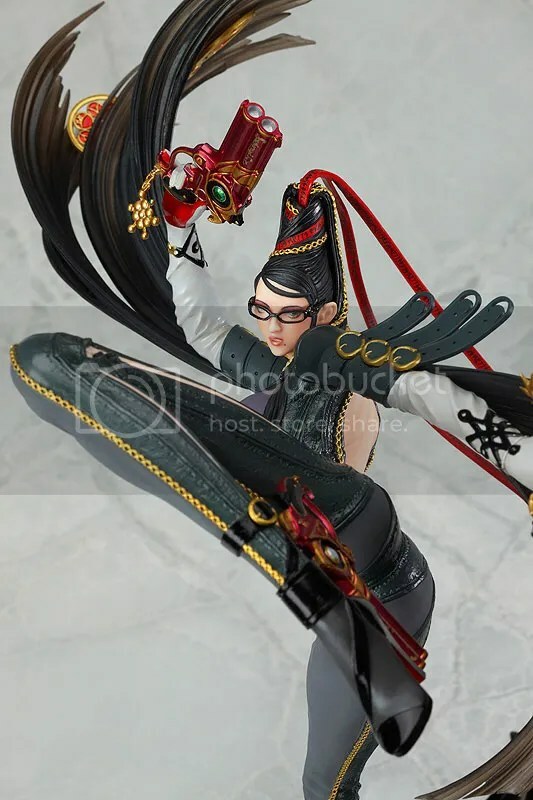 Apparently many people do, as Bayonetta, the titular character is getting a PVC release in March next year (from Phat Company – a sister company of Good Smile Company no less!) more than a full three years since the game’s initial release. 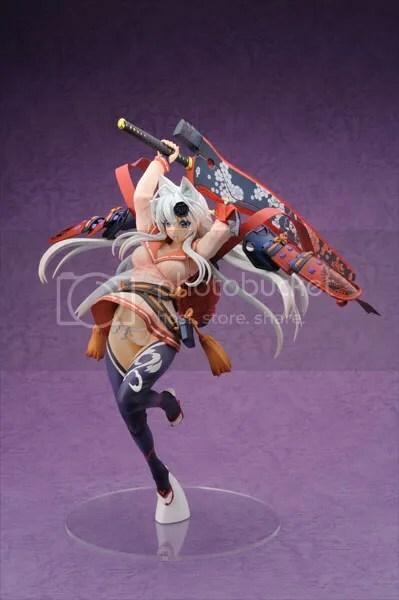 Figurine itself looks detailed enough, and the butterfly base (paying homage to her in-game attacks) rounds out the whole package extremely well. Preorder her from AmiAmi for 10490 yen after a discount of 20%.